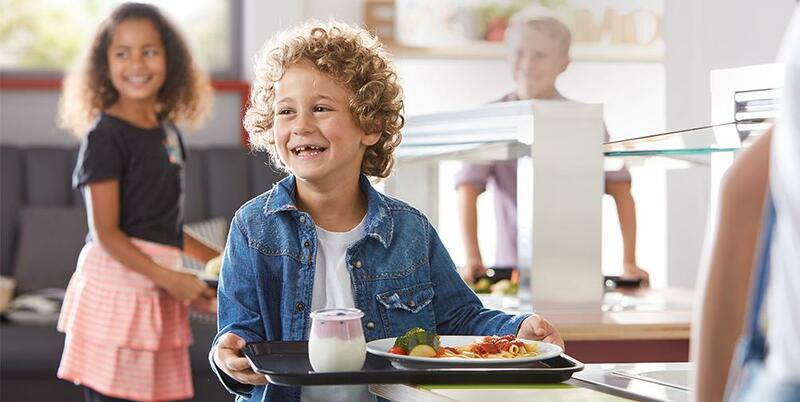 A perfect fit: The new low height Kids plate dispensers. Plate dispensers Kids – LITTLE EXTRAS. round or rectangular, large or small – the new square plate tube can take on anything. 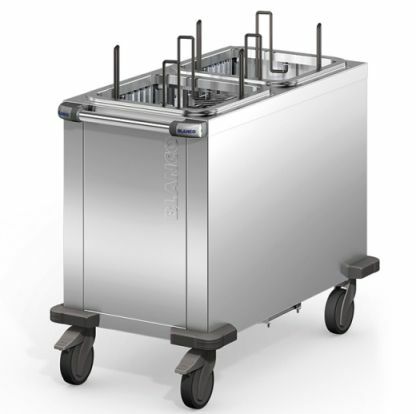 Because of the practical hole pattern, the plate dispensers can be quickly and easily adjusted to fit almost any dish shape. Using additional plate guides, you can store up to four stacks of plates, dishes or small bowls in a single tube. You will find an overview of all available modules in our teaser. 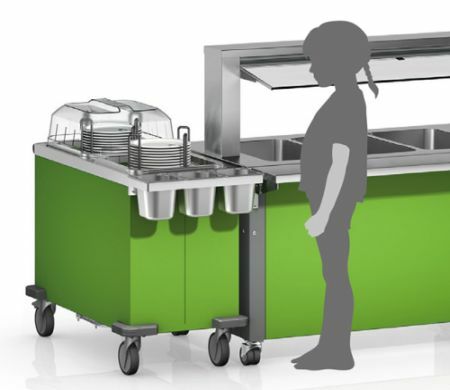 You can select from the 14 plate dispenser body colours to match your BASIC LINE serving system.